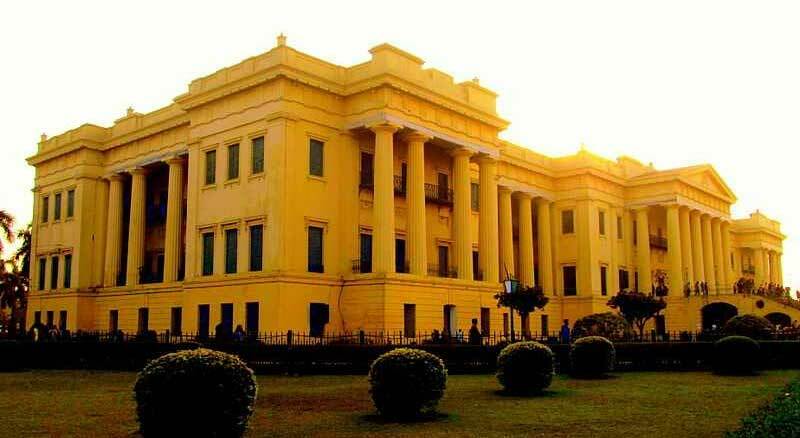 From the days when the Job Charnock dropped his anchor at Cossim Bazar to the days when the Nawab of Murshidabad made the city as the capital in 1716 AD, Experience the Bengal in its full granduer and valour. 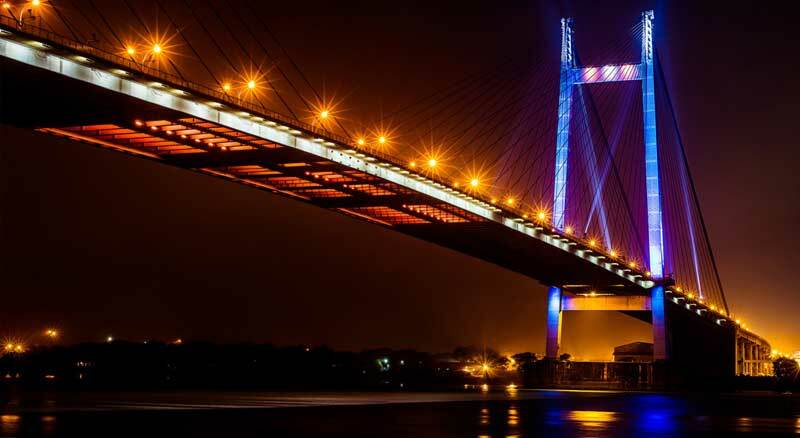 Cruise down the memory lane, Experience Bengal's history, heritage and culture, Renaissances of the Bengal philosophy uprise of the freedom struggle, to the evolution of what Bengal is. Check in at Vivada jetty, Millennium park as per convenience. 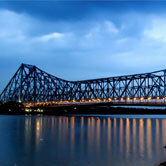 Depending upon the tide the cruiser sails past the Howrah Bridge late evening or early morning next day. The Europe on Ganges : There are 5 European reminiscence within 40 km north of Kolkata and were trading post. The vessel will drop anchor at Chandannagore -the French colony from 1673 to 1952, except between 1757 to 1794 when it was under the British. Bandel - meaning the Port in Bengali, the place appears to the port during the time of Portuguese. 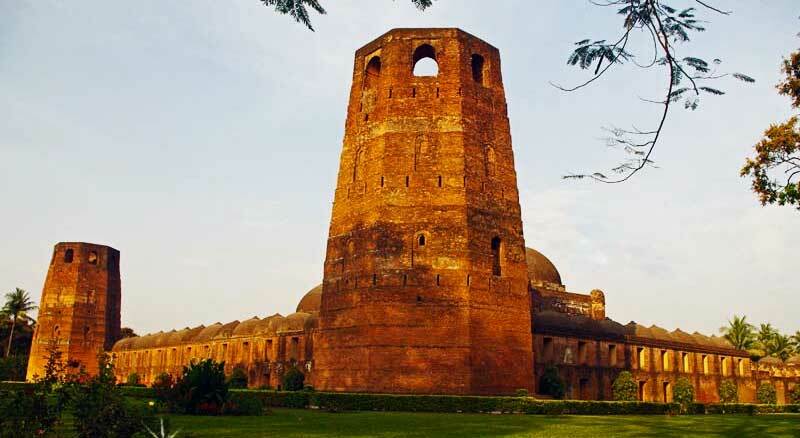 The vessel will drop anchor at Kalna - Maharajas of Bardhaman built several magnificent temples with intricate terracotta ornamentation, the main one being 108 Shiv Mandir built in 1809 in traditional AAT chala architecture and the Raj bari which house most of the temples. Shantipur - the weavers of fine Bengal cotton, the village rich in handloom weaving, is the second largest occupation in the state of West Bengal. The weavers here blend the traditional art with the modern life style needs, offering rich variety of textiles, sarees, stoles, fabrics etc. The vessel will drop anchor at Mayapur & Matiari Mayapur: Headquaters of ISKCON. Preaching the power of prayer to attain salvation. Matiari - Kansha ( Bell metal wares) was a poor man substitute to the rich silverware used in Bengali homes for prayers, table wares and also for cooking. The traditional Kansari artisans make from scrap metals handcrafted wares and artefacts. The vessel will drop anchor at Murshidabad, the historic town, the earliest evidences of history perhaps as early as circa 1500 B.C. 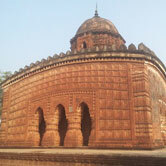 The Nawab Murshid Quli Khan made Murshidabad the capital city of Sube Bangla, comprising of Bengal, Bihar and Orissa. The East India Company reigned from here for many years after the Battle of Plassey. Reach Azimganj in the morning. Disembarkartion from the vessel after brakfast and transfer to Azimganj railway station. 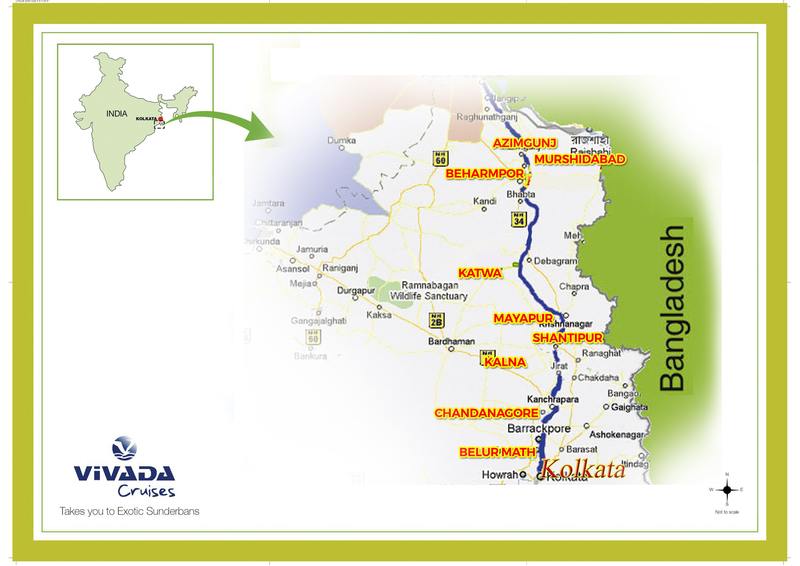 Guest wanting to come back at Kolkata, shall be given a transfer by rail. Note: The time of excursions may vary depending upon the tidal and other environmental conditions. Vessel sailing dates may be withdrawn at any time due to Govt. requirement or emergencies beyond the control of the ¨Company¨ with or without prior notice. In that case full advance money will be refunded by the ¨Company¨ without any compensation to the ¨User¨. Disembarkation: Vivada jetty, Millennium park, Kolkata. Guests from Kolkata shall report at Hwh station at Kolkata and shall be given a transfer by railway from HWH to Azimganj railway station. Reaching Azimganj railway station transfer to Azimganj Jetty by tuktuk. Check in Azimganj jetty. 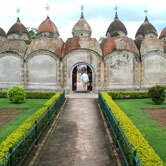 The Europe on Ganges : There are 5 European reminiscence within 40 km north of Kolkata and were trading post. The vessel will drop anchor at Bandel - meaning the Port in Bengali, the place appears to the port during the time of Portuguese. Chandannagore -the French colony from 1673 to 1952, except between 1757 to 1794 when it was under the British. 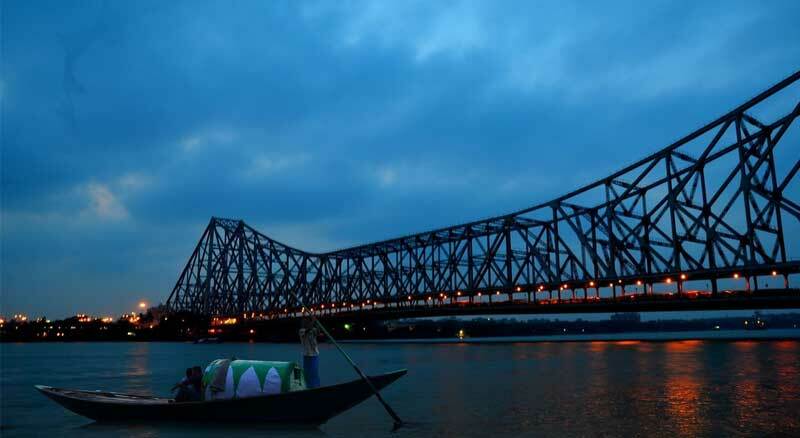 Depending upon the tide the cruiser sails past the Howrah Bridge late evening or early morning next day. 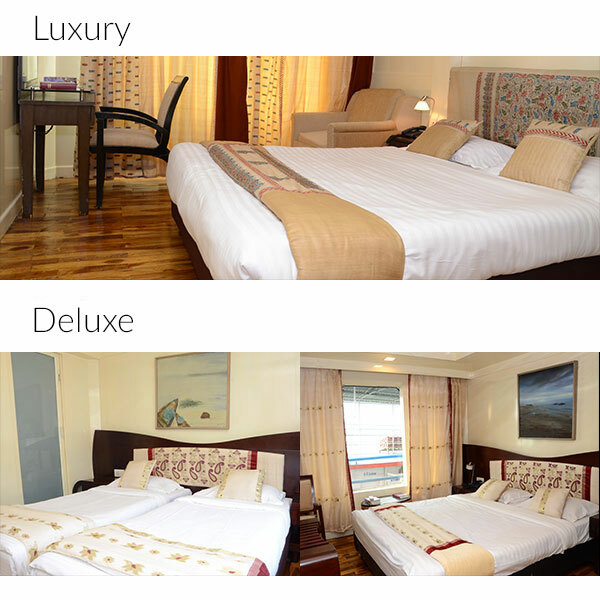 Check out at Vivada jetty, Millennium park as per convenience. Embarkartion - Vivada jetty, Millennium park, Kolkata. Disembarkartion – Vivada jetty, Millennium park, Kolkata. Check in Millennium park as per convenience. The day is kept free for guests to discover the ship and the city by their own. Meals on boards : Lunch and Dinner. And evening cruise to show the Ghats of Kolkata ( The Evening Aarti). Meals on boards : Breakfast , Lunch and Dinner. Vessel sail off by early morning. 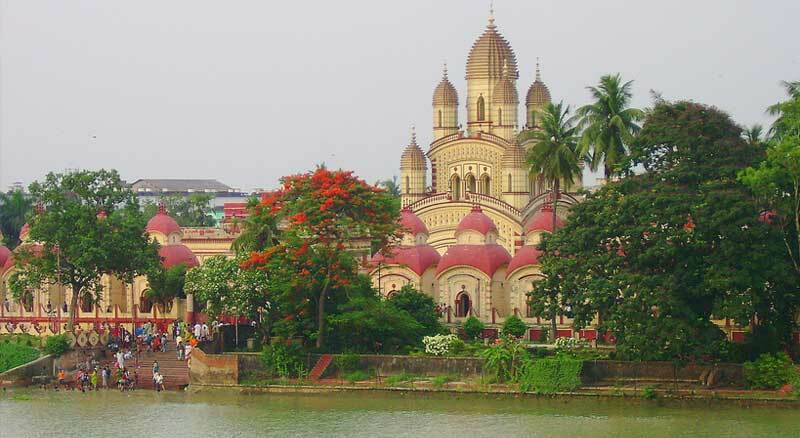 At 12.00 noon, the vessel will drop anchor at Kalna - Maharajas of Bardhaman built several magnificent temples with intricate terracotta ornamentation, the main one being 108 Shiv Mandir built in 1809 in traditional AAT chala architecture and the Raj bari which house most of the temples. 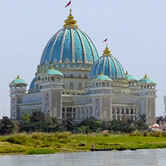 At 5.00 pm, The vessel will drop anchor at Mayapur : Headquaters of ISKCON. Preaching the power of prayer to attain salvation. At 9.00 am, the vessel will drop anchor at Matiari - Kansha ( Bell metal wares) was a poor man substitute to the rich silverware used in Bengali homes for prayers, table wares and also for cooking. The traditional Kansari artisans make from scrap metals handcrafted wares and art effects. In the evening : Film show on River Ganges. 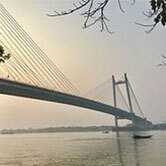 After breakfast , the vessel will drop anchor at Murshidabad, the historic town, the earliest evidences of history perhaps as early as circa 1500 B.C. 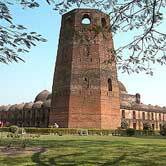 The Nawab Murshid Quli Khan made Murshidabad the capital city of Sube Bangla, comprising of Bengal, Bihar and Orissa. The East India Company reigned from here for many years after the Battle of Plassey. In the evening we go to visit Azimgung Jain temple. At 7.00 am, visit at Shantipur - the weavers of fine Bengal cotton, the village rich in handloom weaving, is the second largest occupation in the state of West Bengal. The weavers here blend the traditional art with the modern life style needs, offering rich variety of textiles, sarees, stoles, fabrics etc. The vessel will again drop anchor at Bandel - meaning the Port in Bengali, the place appears to the port during the time of Portuguese. Visit to The vessel will drop anchor at Chandannagore -the French colony from 1673 to 1952 at 3.00 pm. In the evening Visit to Barrakapur – the British cantonment, the first struggle for Indian freedom movement took place. Reach Kolkata Jetty at 10.00 am, check out. Meals on boards : Breakfast. IMPORTANT NOTICE: The cruise schedule includes the latest information regarding your program, but last minute adjustments may occur. The schedule may shift due to the weather or to take advantage of unexpected opportunities. The exact time for each activity will be announced or posted by the onboard tour staff.